If you are planning to have a dinner party or barbeque party with your family and friends, getting to know the technique on how to grill a steak is the best way to go. By choosing nothing but the best quality meat, season it nicely, and with the help of a red-hot fire, you are off to go. There are different internal temperatures when cooking meat such as rare, medium-rare and well-done. Choose wisely what best fit to your preference. This will ensure that you and your party visitors will be eating delicious grilled steak. It is highly recommended to choose the best quality steaks in the market. 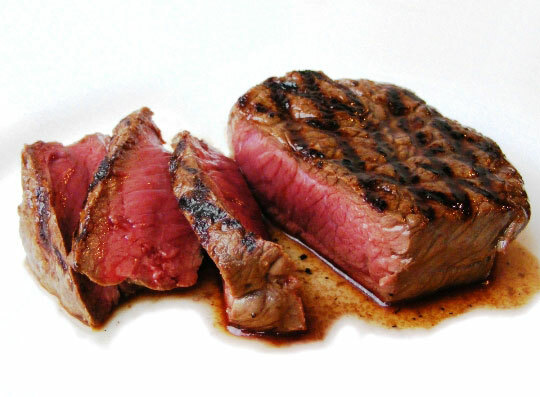 Each steak should not be thicker than at least 1 1/2 inches. Steaks of best quality do have less streaks of fat. The thin streaks of steak’s fat will simply melt during grilling. The fats will make the steak all moist up and not dry. Start a fire on the barbeque grill. If you are using the gas grill, simply turn on the gas as high as it go. If you choose to choose charcoal, light it all until such time the charcoals are all covered with ash. Then, spread the coals evenly. Now rub the steaks with seasoning using kosher salt and of course black pepper (freshly cracked). Let the seasoning sit on the raw steaks for couple of minutes or so. Then, put on the steaks on top of the grill. You would hear the sizzle sounds when the meat touches the barbeque grill. Cook each side of the steak for about 3-5 minutes. In order the good looking cross-hatched grill designed marks; you must turn the steak around 1/4 turn at least half the cooking for each side. When flame does occur, you must move the steak on the other side of the grill in order not to make the steak get all burned out by the fire. When you already hit the right internal temperature of the stakes, you must let it sit for couple of minutes before you start carving the meat. This will help retain the meat juices.